Turn on your speakers. Video might take a few seconds to load. Dr. Rand McClain is a world-renowned expert in health and regenerative medicine. 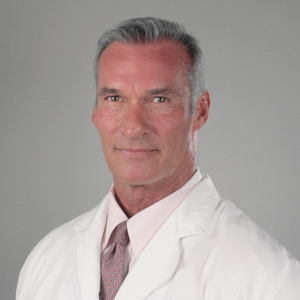 He’s board certified by the American Medical Association, the American Society for Bariatric Physicians, and the American Academy of Anti-Aging. Dr. McClain has dedicated over 35 years of his personal and professional life studying nutrition and exercise, and his videos on health have been viewed by over 10 million people worldwide. How much Active Stem should I order? On average, new customers order 3 bottles. That’s what we recommend to start. However, because it’s our best value, many customers enjoy our 6 bottle package. These 5 ingredients are vegetarian, and free of lactose, additives, gluten, and preservatives. The container is BPA-free, airtight, and resistant to heat and light. Plus, LCR Health utilizes third party laboratory verification to guarantee purity, potency, and quality of ingredients. What makes Active Stem different from other anti-aging supplements? Whereas other supplements employ nutrients which may help with your immune system or provide heart support – Active Stem is designed to be a “whole body” health booster. Adult stem cells are part of the normal functioning of your muscles, organs, skin, and brain. Specifically, the ingredients in Active Stem have been shown to increase proliferation of human CD34+ and CD133+ cells in vitro. And remember: Active Stem is the only supplement EVER to combine these 5 cellular boosting ingredients. Lots of Active Stem users also take additional supplements such as resveratrol, glucosamine, fish oil, etc. – and it’s totally safe to do so, too. These supplements will NOT interfere with the potency of Active Stem, because it works in an entirely different way. How do I take Active Stem? Just blend, stir, or shake-up one scoop of Active Stem with 12 ounces of water and drink daily (ideally on an empty stomach). Active Stem easily dissolves and has a delicious berry taste. 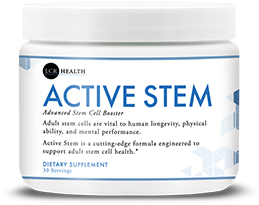 Rest assured, each ingredient in Active Stem is bioavailable, meaning once your stomach absorbs it — it will work to boost your cells all day. Can I take it with my other medications? 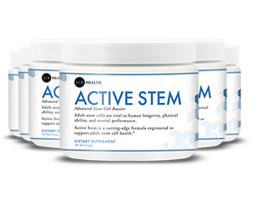 All 5 of Active Stem’s ingredients are entirely natural nutrients and can be found in food products, as well as your own body. Active Stem is also third-party tested for purity and potency. Still, always consult with a physician before starting any new supplements. Who should take Active Stem? One of the best things about Active Stem is it can be taken by anybody... at any age! So if you are experiencing low energy, mental “fog,” loss of stamina, and just a general hard time doing the things you love... 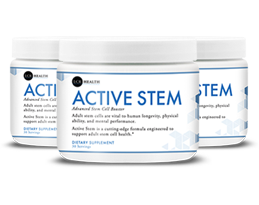 Active Stem was designed for you. Of course! LCR Health offers a full Ironclad 90-Day money back guarantee on every one of our products. So if you’re not absolutely thrilled with Active Stem, just send it back and we’ll give you a full refund. Guaranteed. No questions asked. LCR Health is a nutraceutical company in Los Angeles, California. We develop cutting-edge supplements to raise the quality of life for our clients. As always, we only use safe and effective ingredients. Each batch of Active Stem is tested not just at our lab, but at an independent third-party facility, too. So you know it’s safe and effective. Plus, we are committed to amazing customer service. If you have any questions you can reach us by phone at 800-384-8308 between 5AM and 7PM (PST) on weekdays, and between 6AM and 4:30PM (PST) on weekends. We typically ship Monday through Friday, and always within 24 hours of receiving your order. Depending on your location, please allow between 2 to 7 business days within the U.S. Active Stem is vegetarian, gluten free, lactose free and friendly for all dietary considerations. We would never use a potentially harmful synthetic additive like magnesium stearate. Here at LCR Health we take the utmost pride in our products and formulas. Our bottles are designed with a special UV protective barrier to make sure the Active Stem you order today will stay at its highest potency. We hold ourselves to the highest manufacturing standard in the entire supplement industry. Our products are subjected to rigorous third-party testing by multiple independent laboratories. These tests ensure our capsules only contain 100% pure ingredients and also that they are completely free of dangerous heavy metal and all biological contaminants. LCR Health is proud to offer a 90-Day, Ironclad Guarantee on every single order of Active Stem. If for any reason this revolutionary formula does not meet your expectations, simply send it back for a full refund of the purchase price. You can even use the entire supply and simply send back the empty bottles — that’s how confident we are that you’ll love this incredible health breakthrough. 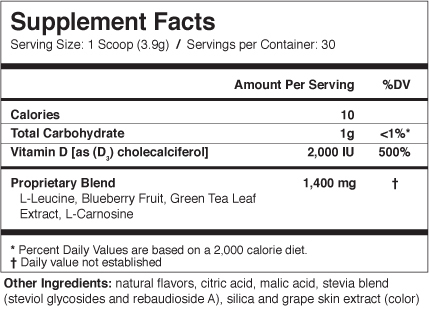 What makes Active Stem Superior to other health supplements? 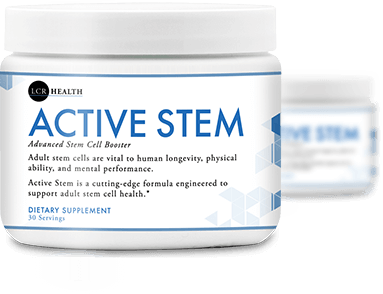 Active Stem works on a cellular level by boosting the proliferation of adult stem cells – or “master cells” – in your body. Copyright © LCR Health, DBA . All Rights Reserved. These statements have not been evaluated by the Food and Drug Administration. This product is not intended to diagnose, treat, cure, or prevent any disease. This product is not intended for those with a medical condition. Use only as directed. Consult your physician before beginning any prescription drug. You must be over 18 years of age to purchase or consume. Free shipping is to the United States only. The information contained herein is for general information purposes only. The information is provided by LCR Health, DBA along with independent third party studies. Under no circumstances do we claim or imply, directly or indirectly, any endorsement from any third party study addressed herein and while we endeavor to keep the information up to date and correct, we make no representations or warranties of any kind, expressed or implied about the completeness, accuracy, reliability, suitability, or availability with respect to the information, products, services, or related graphics contained herein for any purpose. In no event will we be liable for any loss or damage including without limitation indirect or consequential loss or damage, or any loss or damage whatsoever arising from this video, the use of http://lcrhealth.com/, and/or any link provided herein.